Corporate Events can range from treating your staff to a motivational day out to showing appreciation to your clients for their business, or even to help you win further business, There are various ways to do this and we have numerous things you can do. Simply advise us what you want to achieve and we will put forward our suggestions for your company. Entertaining corporate clients can be a daunting task and finding the right way to them is essential if you are going to achieve your objectives. We can arrange and run the day for you so you can spend quality time with your clients. Entertainment will vary depending on the client. So if you're looking for excitement and adventure with a twist we can offer anything from hovercraft racing to paint-balling in armoured vehicles or for the more discerning client we can offer golfing, go karting and much more. 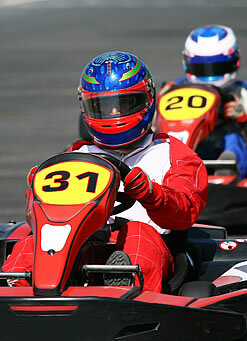 We can also arrange packages for various sporting events and concerts around the country. If you have something specific you are interested in, please do not hesitate to ask us. Our packages are not off the shelf and will be created exclusively for you according to your requirements. Team Building can be vital to form a good working team with commitment. Quite often a team will be more motivated and feel more appreciated after a day out. There are a wide variety of options that are designed to cater for a wide range of needs, which can help motivate your team so that you can get the most from them. If you have a product that you want to introduce, we can create an event to ensure that not only will your message be put across clearly and succinctly, but it will be done in a way that ensures it remains in the memory of all present. You only have one chance to make a first impression - let us help you make it unforgettable. While Awards Ceremonies can be inspiring, they can also come dangerously close to being dull and unexciting! We can help you make your awards ceremony exactly what it should be, interesting, enjoyable and above all else motivational, injecting it with elegance and style ensuring the whole event is run precisely and smoothly, and making all the participants feel the awards are worth receiving. We can also offer numerous options for the design of the award itself. Fun Days can be held for a variety of reasons or for no reason at all! Whether for a company, community, family or friends we can arrange suitable entertainment, catering, facilities and services to really make it a day to remember! From putting on a full fun fair in a park, to racing go karts and hot air balloons, the possibilities are endless!